One month after a puppy was rescued from horrific abuse, a police officer has decided to give her a forever home. 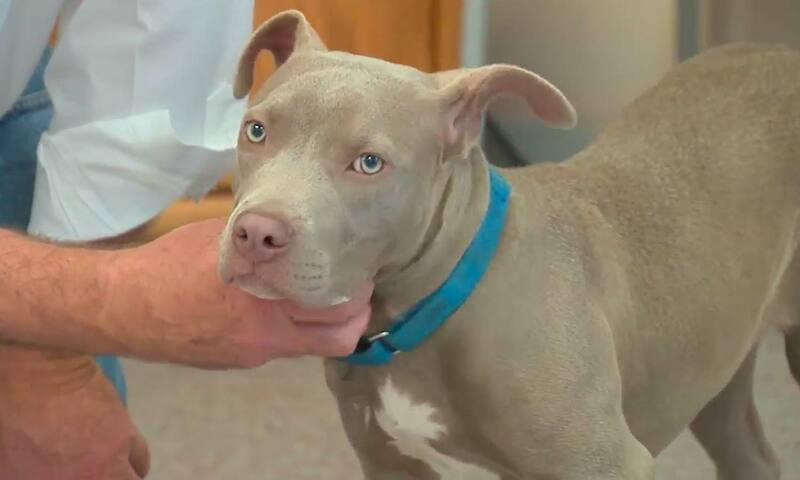 Yonkers, New York police received a phone call from a good Samaritan on May 13 after witnessing a 6-month-old pit bull puppy being dragged and then violently picked up by her neck and thrown outside of the suspect’s apartment building. The abuse was all caught on camera. The alleged abuser, 41-year-old Kiani Wright, faces animal cruelty charges.